Just wrapping up its sixth year, the Social Media Marketing World (SMMW) conference is known for featuring some of the best minds in social media marketing today. Our Director of Communications, Meghan Martin, attended this year’s conference and had the following to report. As I walked out of this year’s SMMW conference, pushed the Uber button on my phone, and readied myself to head back to the San Diego airport, I felt both inspired and overwhelmed. Inspired because I had the honor of spending the week connecting with some of the kindest, most generous, and smartest people I’ve ever met. Overwhelmed, because there is so much great work to be done, both for our clients and for Green Loop. At the risk of being one of those people that gets back from a conference and then proceeds to drone on and on about how much they learned and all the new ideas they want to implement, here are my top five takeaways from SMMW18 on what will be the biggest Social Media Trends for 2018. You didn’t think we were done talking about Messenger, did you? Because now that we know where it is that we need to reach customers, we need to figure out how we can have conversations with them. Don’t get me wrong, no one at the conference claimed that human to human interaction was bad. However, Chat Bots get more sophisticated every day and can provide the kind of access to on-demand information that would be very hard to replicate through an actual living being. Most social media networks have been preaching this for a while, but now they really mean it. With recent algorithm changes across several platforms, comments are being ranked as more valuable than ever when considering how many people will see your post. Now more than ever, it doesn’t matter how many people follow you. What matters is how many people see your content and are impacted enough to engage with it, moving them down your marketing and sales funnel. The up rise of podcasts and videos is a trend we’ve all seen increasing over the last few years. That trend isn’t slowing anytime soon. People are consuming information differently. 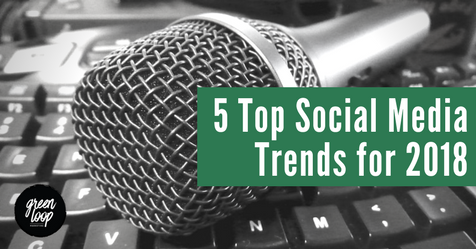 Social media platforms have even changed their algorithms to encourage the use of more video by giving it more reach. One change that we are seeing—possibly inspired by the podcasting world—is the creation of episodic videos. Episodic videos are simply a continuing series of videos that build upon one another, giving your audience a reason to tune in at regular intervals. 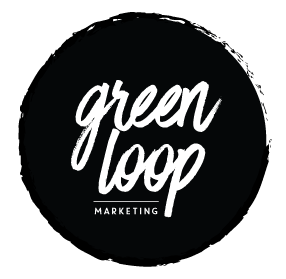 Green Loop Marketing is a full-service agency, located in Indianapolis, Indiana. We combine solid social media skills with great content, and strong overall strategy to drive visitors to your website or place of business. The result is increased awareness, better brand affinity, and higher sales.